The Last Few Beautiful Days is the 13th studio recording from The Motels, and it’s an absolute stunner! Channeling the heyday of The Motels while looking ambitiously ahead to the future, Martha Davis and her crew has presented a remarkable journey through the twists and turns of the dark side of the crazy endeavor we call life. The trademark vocals of Martha Davis are grand and effective, clearly showing an artist in her finest hour of a truly brilliant career. 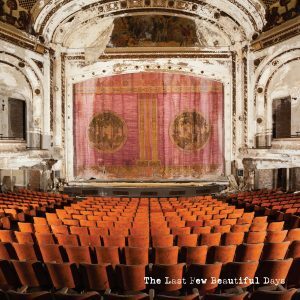 The Last Few Beautiful Days features 11 rapturous, thoroughly thought provoking selections that set the imagination in flight. Ms. Davis has always enchanted audiences worldwide with her sweepingly haunting vocals, and the emotional compositions found within The Last Few Beautiful Days are destined to be fan favorites for the ages. The opening chimes of a vintage clock signify the passage of time as The Motels launch into the pensive yet vibrant refrains of Punchline, where Ms. Davis muses, “I know you hate me now, I see your face and all the reasons why.” As Long As is a testament of a modern day profound love with its “as long as I have strength I’ll fight for you, as long as I can breathe you will be safe” adornments ringing through with an impassioned sense of conviction. Lucky Stars is a should-be hit single that compares exceeding well to any classic song The Motels has ever unveiled, featuring shimmering reflective lyrics set to a pulsating dance beat. Look At Me has the dream-like soundscapes with fervent lyrics that dive right into the heart of the matter. And then The Motels slam at the listener with the awakening testaments of Machine, where the destiny of your life is determined mechanically in a post industrial age and individual thought is a quaint antiquity of the past. Light Me Up is wistful exploration, where “it only hurts when I get close” is observed in the cautiously romantic afterglow. Tipping Point is a standout, with its intensive melodies driven into the stratosphere by Martha Davis’ strikingly passionate vocals. It’s then time to visit the Imposters and Criminals who lace our lives with trepidation, and The Motels do so with a fierce abandoned that is staggering to behold. Criminal is especially engaging with its “You sir, you have no honor, you sir, are a poison pill” revelations, a powerful statement for an individual who has clearly and tragically lost their very soul with their reprehensible deeds. Nobody is a wickedly sensual tapestry that will have audiences ardently singing along when performed live where Ms. Davis concludes “I would set the world on fire just to watch it burn” with an absolute sense of fierce persuasiveness. And then closing out The Last Few Beautiful Days is the gorgeous title cut, with Martha Davis and company transporting this torchy reverie into the hearts and minds of fierce and cynical romantics all across the world. 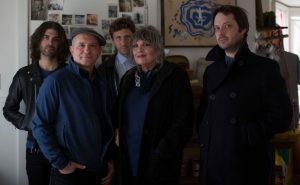 The Motels in 2018 are as imagination and compelling as ever, featuring the participation of the one and only Martha Davis on lead vocals and guitar, Clint Walsh on guitar, Eric Gardner on drums, Nicholas Allen Johns on bass, and Marty Jourard on sax, piano and clarinet. With The Last Few Beautiful Days, the iconic collective has written their next great epic chapter, one destined to captivate and inspire music aficionados for the generations ahead. The Last Few Days was skillfully co-produced by Nicholas Allen Johns and Martha Davis. Yeah, this new Motels is certainly a brilliant piece of rock, pop and synth driven perfection, its been on repeat for a week, stunning vocals and quite an impressive new MOTELS line up along side the one and only horn and keyboard wizard Marty Jourad form an impressive punchline to all this music, Road tested and ready to go…its been a long while since I’ve heard music so alive!! The Tipping Point, Punchline, Look at me, Criminal, Nobody, Lucky Stars, the title track The Last Few Beautiful Days, Imposters etc.. So FINE! !